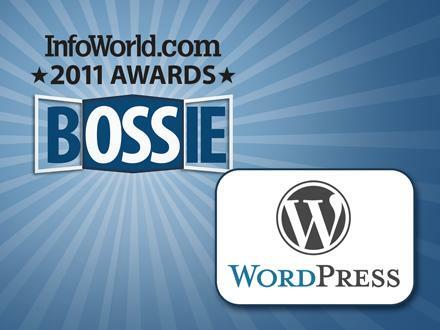 InfoWorld has announced the winners of its annual Best of Open Source Software awards (Bossies). Chosen by InfoWorld Test Center editors and reviewers, the annual Bossies recognize the best and most innovative open source software products for end users, businesses and IT professionals. The 2011 awards, which recognize 37 projects, reflect the dominance of open source software on the desktop, in mobile technology, in business applications, in application development, and in the data center and the private cloud. There may be broader open source packages out there for Web content management — Joomla! and Drupal both come to mind — but absolutely nothing has come close to WordPress for its sheer out-of-the-box utility. Install it, drop in one of hundreds of ready-made site templates, add any number of powerful and useful plug-ins for customizing WordPress’s behavior, such as calendars, image galleries, Amazon.com affiliate links, and you’re set. WordPress even updates itself at the press of a button, which is something competitor Movable Type still doesn’t do even well into its fifth major point revision. Previous post: How to Display a Post Image Thumbnail using Featured Image option in Twenty Eleven theme? Самая детальная информация gay online shop у нас на сайте.